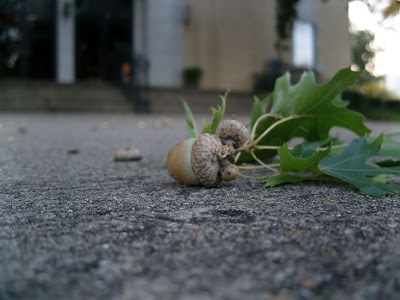 Was that Fay wind that blew the acorns and their leaves to the sidewalk? Nice close shots, Brian. I like that bus in my Ruby Tuesday photo, too, but I didn't mention it since I couldn't find any red on it. I like your acorn shots. This one with the leaves is great. Really great depth of field on that close up.